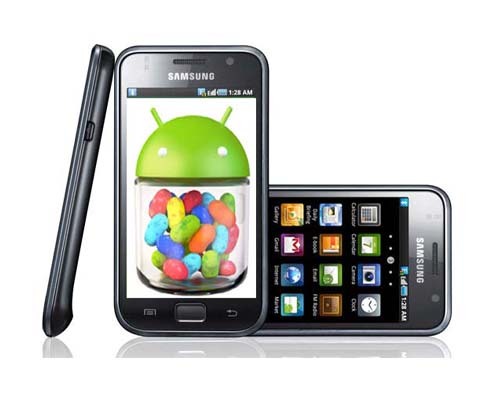 Samsung Galaxy S GT I9000 users can now enjoy the benefits of Android Jellybean 4.1.1 with the help of AOKP based Custom ROM firmware released by nasif619, an Android developer. In due course of this article, we will be checking out the procedure for installing this firmware on your Galaxy S smartphones. Please be informed that this is not an official firmware update from Google or from Samsung but from a third party developer. So proceed at your own risk. Disclaimer: Don’t held us responsible for any changes that might occur to your device while following the firmware update tutorial given below. This AOKP based Jellybean 4.1.1 firmware will only work on Galaxy S GT I9000 models and not with any other models. So, don’t try this update with any models of Galaxy S smartphones. Take backup of SMS, MMS, Contacts list, call logs, and other personal data in your device using appropriate backup applications. Before installing this update, your device should have to be updated with XXJW4 firmware and rooted on the same firmware. Ensure that your device has a minimum battery backup of 40%, otherwise it might get switched off while following update procedure. Turn off all the antivirus applications in your device and computer, so that they won’t block the update process. Once you have performed all these pre-requisites, you can move on and follow the main firmware update tutorial which is given below. To get started, download AOKP Jellybean 4.1.1 Firmware Update package into your computer. Once downloaded, connect your Galaxy S GT I9000 smartphone with the computer and transfer the downloaded package to the device. Upon successful transfer, disconnect the device from the computer and turn it off. Now press the Volume Up Key, Center button in the device simultaneously and while doing so, press the power button so that it can enter into the recovery mode. In recovery mode, select “Wipe data/factory reset” and “Wipe Cache partition” to completely wipe out all the caches available in the device. Once done, select “install zip from SD Card” followed by “choose zip from SD card” and select the AOKP Jellybean 4.1.1 Firmware Update package. The firmware installation will begin and it will get completed within few minutes. Once the installation is over, select “Go back” in recovery mode followed by “reboot system now”. Your device will reboot in the normal mode. That’s it! Now you have successfully installed AOKP based Android Jellybean 4.1.1 firmware on your Samsung Galaxy S GT I9000 android smartphone. alguien ha probado las conexiones??? no me aparece la sd externa….